A long search led us to our bright, airy premises in the centre of Leigh-on-Sea, Essex. Alongside the ever changing light of the Thames estuary we are able to provide the right environment to support non-competitive, family orientated classes in Yoga, Tai-Chi and Pilates so you can experience their profound benefits. In the peace and tranquillity of Shambhala’s main Studio and in our luxurious Therapy room, under the guiding hand of experienced teachers, therapists and practitioners, you can begin your own personal journey into wellbeing. 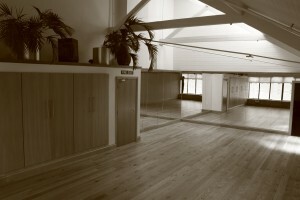 Shambhala Studios for Yoga and Health in the Southend-on-Sea area of Essex.